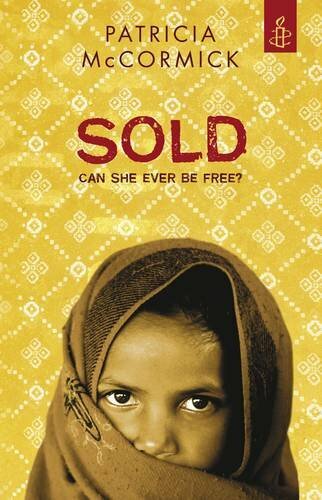 Endorsed by Amnesty International and shortlisted in 2006 for the American National Book Awards, this is a well researched, unflinching, and shocking, but never sensational, exposé of a form of modern child slavery. At 13, Lakshmi, from a quiet village in Nepal, is sold by her stepfather to a go-between for a brothel keeper and taken to an unnamed city in India, where, sustained only by the kindness of the other women in the house and their children, she is beaten, drugged, raped and forced into prostitution. Her story is told by Patricia McCormick in the first person, in short single page chapters, sometimes only a few lines for each incident or observation, which switch imperceptibly between the matter of fact prose of Lakshmi’s cruel situation and the poetry of her personal experience of it. McCormick sustains this well, and there are only one or two cultural infelicities, where Lakshmi talks about ‘the fall’ (for autumn) or ‘math’; and only one or two occasions when Lakshmi’s observations strike the reader as being beyond her age or experience, as when she compares street life with Bollywood: ‘I consider a world so ugly that a child would be maimed for life to fetch an extra rupee or two. And another world full of brides and marigolds, rain machines and horses.’ But there is a problem with the cultural viewpoint of the book. Lakshmi is eventually rescued by American aid workers, and, there are points in the book where the United States is associated with Lakshmi’s aspirations for a better life. This may well connect an American audience more closely with the plight of young women like Lakshmi, but it may have another effect too. Throughout the story, McCormick properly makes a number of critical points about Indian society and its attitudes to women. However, the absence in the book of any Indian opposition to this sexual slavery, and the reliance on American intervention, not only distorts reality – it was Indian journalists who first drew wider attention to this trafficking (see Ruchira Gupta’s film The Selling of Innocents, 1997) and Indian agencies that oppose it and support its victims – but could also encourage a simplistic and misleading comparison between the values of the two societies, which I imagine is not the intention of the author at all.